As the Trump administration drops the number of refugees who can enter the U.S. next year to 30,000 – the lowest number in recent history – the University of Montana will bring an expert on immigration policy to lecture on campus. Georgetown University scholar Susan Martin will speak on “U.S. Immigration and Refugee Policy in the Trump Era” at 6 p.m. Tuesday, Oct. 2, in Liberal Arts Building Room 011. The talk is free and open to the public. Martin is the Donald G. Herzberg Professor Emerita in International Migration and founder of the Institute for the Study of International Migration at Georgetown. She also chairs the Thematic Working Group on Environmental Change and Migration at the World Bank. Previously, she was executive director of the U.S. Commission on Immigration Reform, mandated by law to advise Congress and the President on immigration and refugee policy. 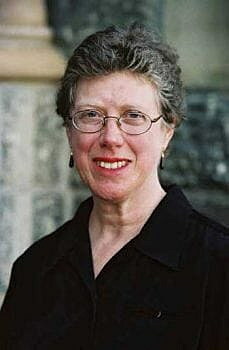 Martin is the author of numerous publications and currently is working on the second edition of her book, “A Nation of Immigrants.” She holds a Ph.D. in the history of American civilization from the University of Pennsylvania. The talk is sponsored by UM’s Global Public Health program, the departments of Political Science and History, the School of Journalism, the Franke Global Leadership Initiative and International Development Studies.